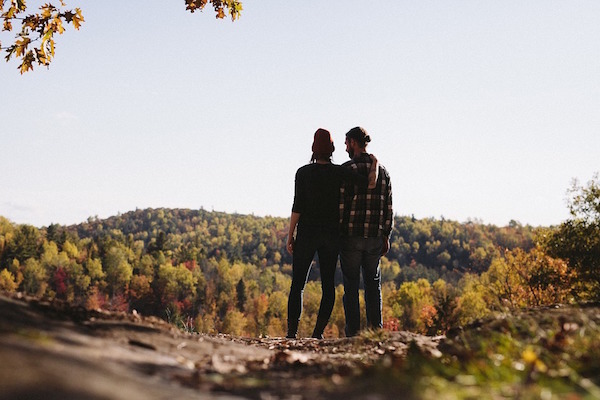 Valentine's breaks that buck the trend: what about an adventure break?! We know that you don’t need a specific day of the year to show your better half how much you love them, so don’t worry, this post won’t be littered with Valentine’s clichés and photos of chocolate covered strawberry platters with the Eiffel Tower providing a backdrop. What we’re bringing you is a selection of adventure breaks instead. 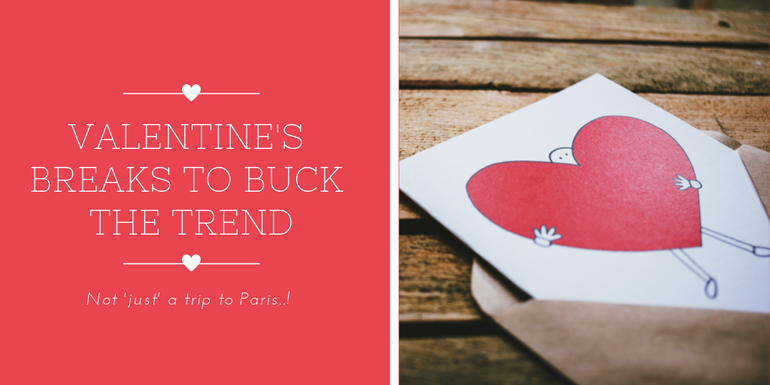 As appealing as spending a Valentine’s weekend surrounded by other loved up couples in Paris or Rome sounds, in reality, it’ll just be crowded, cheesy and let’s face it, twice as expensive as it would be any other time of year! What could be more romantic than experiencing some of the world’s wonders for the first time, together?! On that note, if you fancy a break with a difference, see what you think about these beauties! Take your Valentine to: Gullfoss Waterfall, Iceland. Ever since our friends at Car Hire Centre told us that The Golden Circle was part of one of the must visit roadtrips in the world, we have been fascinated by Iceland! This brings us to our first suggested destination, which sits on the iconic route. 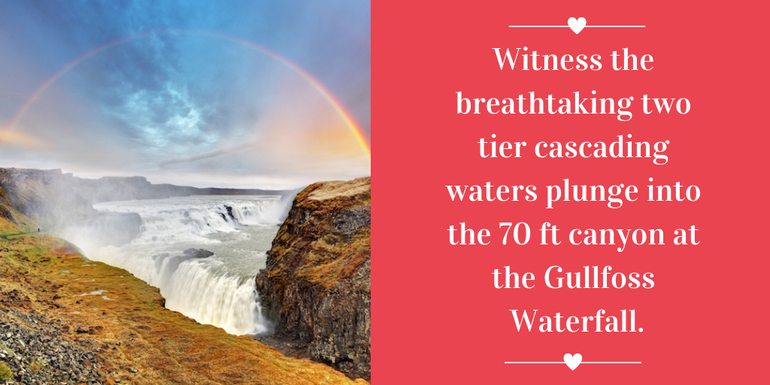 Visit the spectacular Gullfoss Waterfall to witness the breathtaking two tier cascading waters plunge into the 70 ft canyon, displaying a beautiful rainbow when it catches the light on a sunny day. Delve into the history and importance of the waterfall, and discover the lengths that the original owner’s daughter went to in order to preserve this spectacle of nature. For something a bit more energetic, how about taking the Golden Snorkelling experience? Your tour includes the Into the Blue snorkel experience through the clearest water in the world, a visit to the geysirs, a stop off at Gullfoss and more! Other tours include caving experiences, bike tours and river rafting, with something for every ability to enjoy! A visit to The Alps needn’t be about just the skiing! 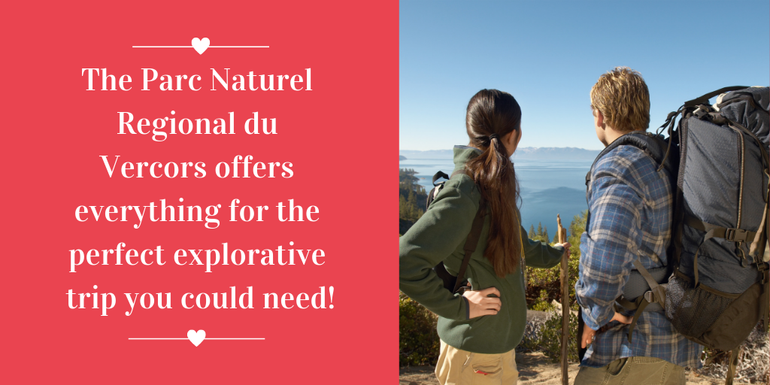 Spanning over 186,000 hectares, the Parc Naturel Regional du Vercors offers everything for the perfect explorative trip you could need! From deep gorges, caves and sheer cliffs, to lush meadows and enchanting forests surrounded by the impressive mountain range, you can spend hours simply enjoying the natural beauty that surrounds you. How about a hike along some of the 2,850 km of footpath around the limestone cliffs or a visit to one of the museums that document the French Resistance during World War II, where the mountains once acted as a base? Re-live an important part of French history in truly breathtaking surroundings. And if you feel you must ski when visiting The Alps, well, you’re in luck; Lans-en-Vercors has a great range of snow activities on offer, as well as everything from tandem sky-diving and pottery! 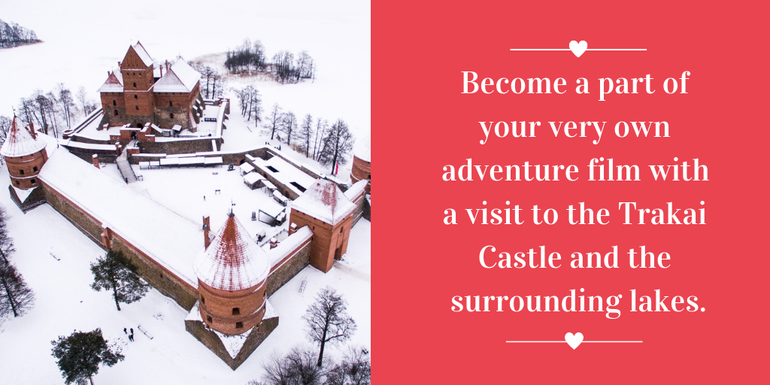 Become a part of your very own adventure film with a visit to the Trakai Castle and the surrounding lakes. Explore the magnificent grounds of the one time home to the Grand Duke Vytautas the Great and follow its transformation from a medieval castle to a renaissance prison over the course of nearly 150 years. Outside the castle, take the opportunity to soak up the stunning scenery on horseback, sail boat or foot on of the beautiful tours on offer. If you’re lucky enough, you may even catch a glimpse of the underwater ruins of the ancient polar town beneath Lake Galvė that surrounds the castle, or visit one of the other 20 islands on the lake, each with it’s own story to tell. For the thrill seekers amongst you, take a Hot-Air-Balloon up above Trakai to gaze upon the city in all its glory or race Land Rovers through the gravel quarries or a trip to the Trakai Historical National Park for an endless array of activities. Take your Valentine on the Marrakech to Marrakech Active Adventure, Morocco. So this may be more than just a weekend trip, but it’s so worth it! 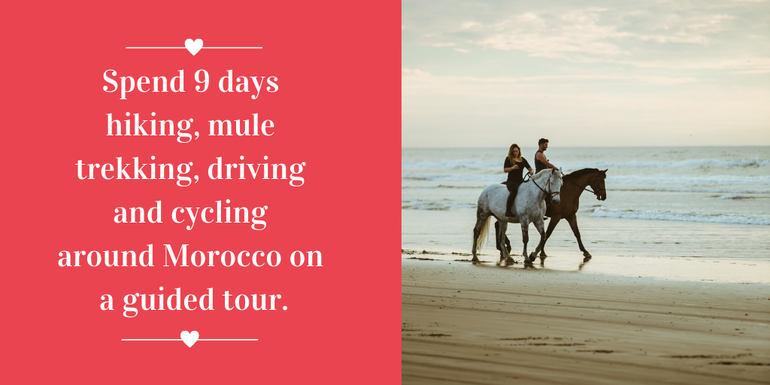 Spend 9 days hiking, mule trekking, driving and cycling around Morocco on a guided tour. Visit the Tin Mal Mosque, weave your way through bustling souks, take a stroll along the coast in Sidi Kaouki and explore the Atlas Mountains. Enjoy nights camping on the beaches under the stars and spend your days immersing yourself in the local culture. Some of your daily meals are included in your trek, but on the occasion you get your free time to explore, we highly recommend sampling Briouat, a sweet filled pastry snack, Mrouzia which is a delicious lamb dish with raisins, almonds and honey and Rfisa if you like the sound of pancakes and chicken! 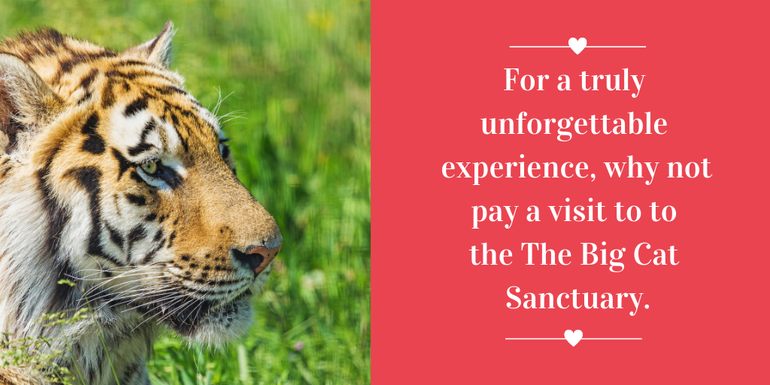 For a truly unforgettable experience, why not pay a visit to to the The Big Cat Sanctuary, which is part of the World Heritage Foundation. The sanctuary is home to a large array of wild cats, from lions, to snow leopards and pumas. Make this a trip to remember by booking on for their The Big Cat Walking Safari and Overnight Lodge Experience – over two days, take a tour of the sanctuary and get up close to and even feed these magnificent creatures. Your stay includes welcome drinks, your tour and experience, dinner and drinks and a night in a beautiful lodge, surrounded by your very own feline bodyguards. If you fancy more of a day trip, why not be a Ranger for a Day? After you receive an exclusive tour of the enclosures and meet the cats, you’ll be able to get to work! You’ll be cleaning the enclosures, preparing and delivering meals to the animals and making sure the park stays in pristine condition. You are free to take as many photos as you wish – think about what a great conversation piece that photo of you feeding powerful predator will make! They sound like pretty good options, don’t they? 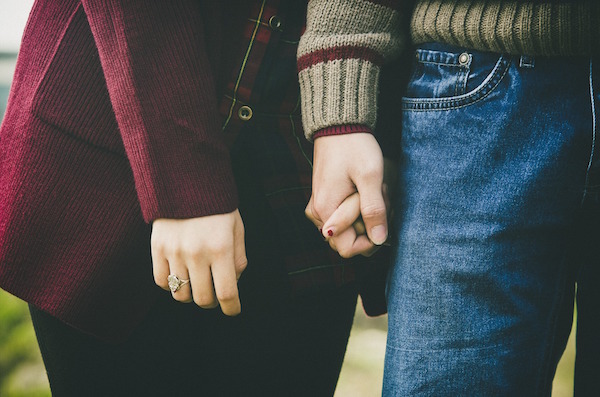 Not too lovey dovey but special enough to want to experience with your better half. Happy Valentine’s Day all, let us know what you get up to!